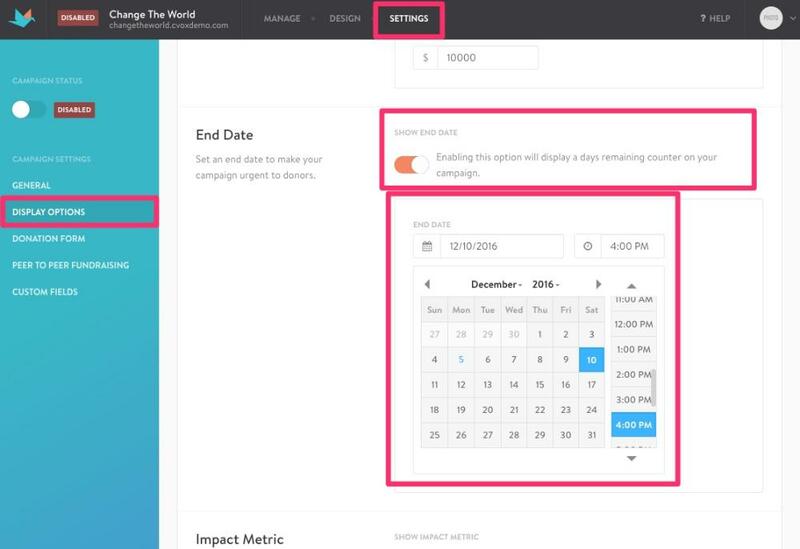 The end date is a feature that you can enable on your CauseVox campaign site to display the number-of-days-remaining counter on your campaign site. You can change the end date counter at any time in your Site Settings. Once you get close to that date, then the days counter will automatically turn into an hours and minutes counter. 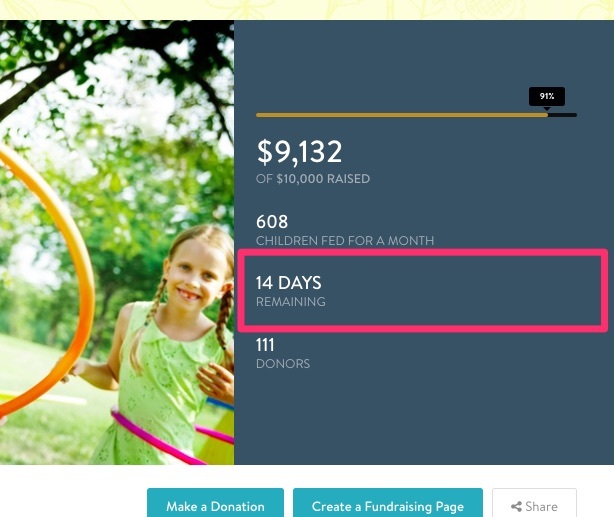 Even after the end date reaches zero, donors will still be able to donate. Step 2: Use the calendar to select an end date and time. Step 3: Click on Save on the upper right corner of the campaign site.